In Hear This, A.V. Club writers sing the praises of songs they know well. This week: As summer draws to a close, we’re featuring our favorite songs about fall. Some of us welcome summer’s end as much as others cheer its return—people who love apples and sweaters, and don’t mind the current crop of pumpkin-flavored everything. No composition welcomes this thoughtful, poignant season like “September Song.” It was first penned for the 1938 show Knickerbocker’s Holiday for Walter Huston, who needed an easy-to-sing song that would fit the lower register of his voice. No one remembers that show, but “September Song” has taken on a life of its own as an autumnal anthem, covered by everyone from Jimmy Durante to Ella Fitzgerald to Fran Allison on the Kukla, Fran And Ollie program. 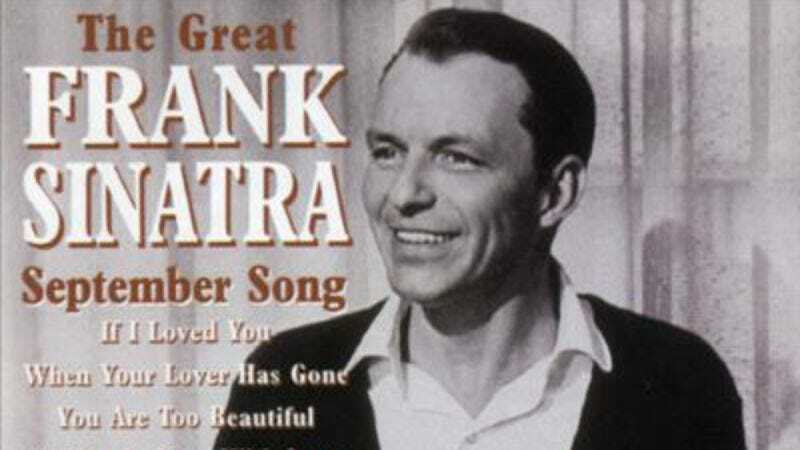 But as so often happens, Frank Sinatra’s impressive emotionality helped him make this song his own. Instead of the waning years of middle age, on a simpler, lighter note, we can also read this song as a precautionary tale about the impending, incapacitating winter. Go out there and make the most of these short, crisp days: long walks, crunchy leaves, and yes, maybe even a pumpkin latte.